While we are fixing our mind for travelling some of our favorite place or could be any historical place which belongs in a distance then we might me worrying about the factors related with travelling like transport or could be even own car and then staying and then how we would spend the time there and how we could get the best out of it from that trip. But how much of us thinking about the packing own things? Yeah I am talking about the Cargo Box packing which is really important for any kind of travelling as it can contain the most important part and parcels of your whole travel time. So it is really important to packing a cargo with perfect way to let happen the best scenario at travelling time. – And the most important thing is you boarding pass and passport alongside all. You could easily use shoe gaps with underwear and socks rolling in there. For the bulkier items like suits, jeans, skirt and so one, you could take them at top and then keep one end out side of the box where the other end is in the inside and then place all of them where you could place all those bulkier items as a layer way and after that roll over one to other likewise. This is how you could use all the spaces in there. Every now and then we have to go with some awkward shaped items in there and some of them are really soft items and some could be toiletries. Now what to do with these items to ensure the maximum safety and proper placement. In order to ensure proper placement you need to keep them in the middle and then pack them with double bag. Specially stay careful with toiletries so that they cannot let other products harm. It is so important to placing your cargo box into a proper place where it cannot be harm and nothing odd could happen. For this find a clean place where the whole things could adjust. If you take you own car then it is better to keep it on the top of the vehicle. But while you keep the cargo box on the top make sure you check the weather first so that there has not possibilities of rain after all. And then keep it such a way so that it cannot just fall down from the top or where you could place it. You need to know the height of your vehicle as if you keep your cargo box at the top of the vehicle. Sometimes we literally forgot as the cargo box stayed at the top while we are driving. 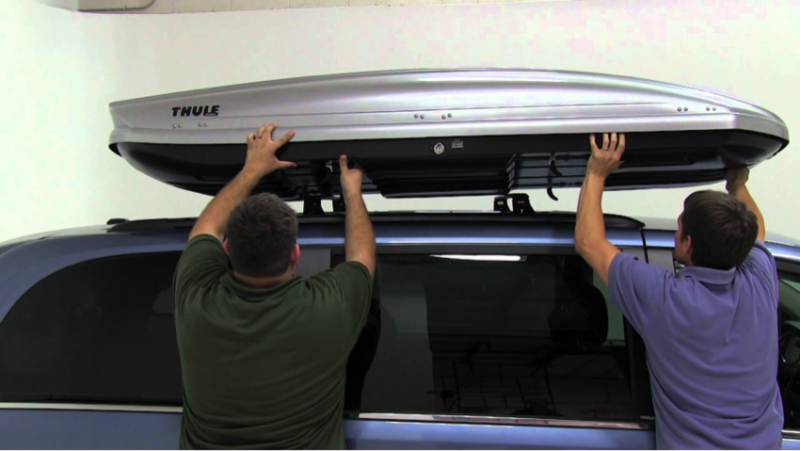 There might have the wind effect which could let it misplaced or there could have been the lower tree which could get in stuck with your Thule Pulse cargo box. So before placing it top know the height of your vehicle. We need to use some regular used things now and then and this is why it is really important to keep them outside of the cargo box. You can keep them in the side pocket or could be kept them in a small box which could be nearby of yours. This is how you make the whole this perfect. This is how you could make sure a enjoyable and safe travel time with all things with your beloved cargo box. Hope those tips could help you all the way and let you have that facilities.